When Philadelphia DA Larry Krasner announced today during a hearing at the Philadelphia Criminal Justice Center that jailed rapper Meek Mill’s conviction should be overturned, a spontaneous dance party broke out on nearby streets. As fans gathered to support Mill, 30, who was sentenced in November to two to four years for violating probation, they eagerly awaited news with homemade signs and shows of solidarity. 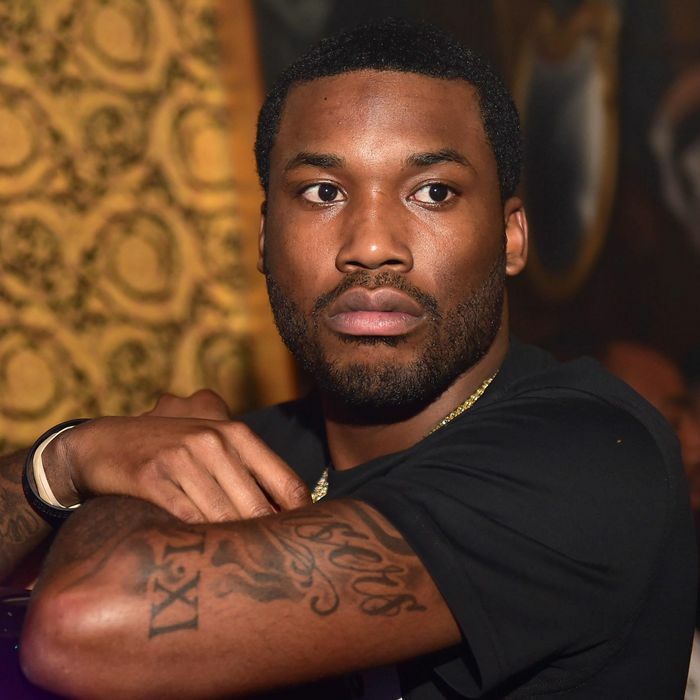 Meek Mill has been contending with an almost decades-old gun and drug case that has frankly perplexed experts in both the music and legal communities. As friends and colleagues rally in support of Mill, his lawyers have been unsuccessfully appealing the sentence, even calling for the judge in the case, Genece Brinkley, to step down. Mill’s lawyers have accused the judge of impropriety, saying that she has an unhealthy personal stake in the case, even going so far as to ask the rapper to write a song about her. The good news for Mill is that his legal team may now have the opportunity to appeal the conviction based on new evidence that a police officer in the case has a history of racial bias and abuse, according to the Philly DA’s office. Krasner, along with the state’s governor and Philly’s mayor, has thrown his support behind Mill since he was incarcerated late last year. The DA would like to see Mill get a new trial, which was good news to the hip-hop star’s fans celebrating outside the courthouse this morning. Today’s announcement comes on the heels of a rumor circulating on social media that Mill might be released from jail as early as today, a rumor that his legal team quickly quashed as of late last week. Based on today’s hearing, Mill is expected to remain in jail in Camp Hill, Pennsylvania, until at least June when he faces another hearing with Judge Brinkley. He has already served time for the original conviction, which was handed down almost ten years ago.